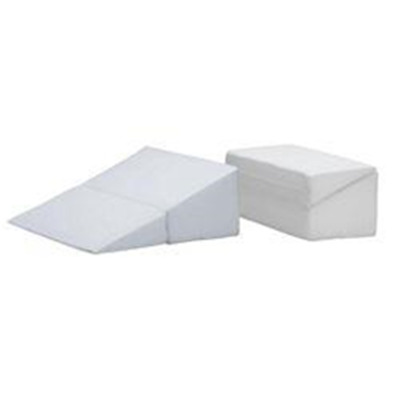 Bed Wedge has a gradual slope that helps ease respiratory problems while reducing neck, back, and shoulder tension. It folds compactly for easy storage or transport and improves upper or lower body circulation. It can be used to treat the symptoms of hiatus hernia, reflux disorders, and snoring, and is ideal for reading or watching TV. Available in 7", 10", and 12".